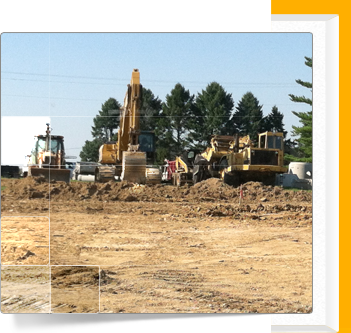 Justice Excavating, Inc. offers construction services in Aspers, PA.
Services available from Justice Excavating, Inc. If you are searching for a well-equipped, professional company to assist you with construction projects at your home, business, or government site, Justice Excavating, Inc. in Aspers, PA is that type of company. We are also available to work in MD, WV, and VA, in addition to PA. Copyright © Justice Excavating, Inc., 2013. All rights reserved. If you are interested in services from Justice Excavating, Inc. in Aspers, PA, please contact us today for an estimate on our services. We look forward to working with you.